Mumabi: Companies are likely to give 9.7% average pay increase in 2019 as companies expect a positive economic outlook, backed by high economic growth expectation, high domestic demand and low inflation, according to a study conducted by Aon. The data is collected from over 1,000 companies and over 20 industries for the 23rd edition of annual salary increase survey in India. 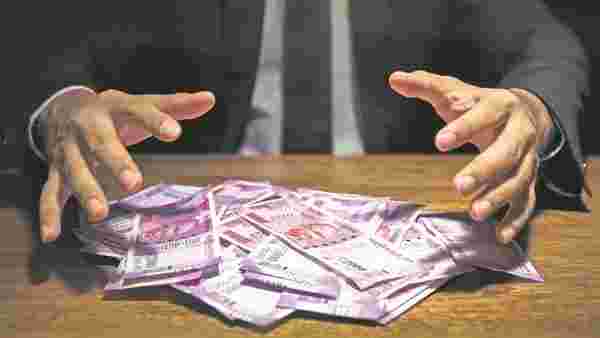 Last year, companies in India gave an average pay increase of 9.5% during 2018, reflecting improved business sentiment compared with 2017. “Pay increases are marginally positive compared to earlier years – a big highlight is the reducing difference in pay hikes across industries year on year. A lot of the pay increase decline is also reflected in the constant drop in voluntary attrition levels across industries,” notes Anandorup Ghose, partner and head – emerging markets, Aon. Sectors projecting a double-digit increment have come down over the years with only five sectors — consumer internet companies, professional services, life sciences, automotive and consumer products — projecting a double-digit increment for 2019. If you have been struggling to meet your expenses and have taken loans, your first task should be to pay off your loans immediately. The more you hold on to your loans and credit card repayment process, the more money you end up losing in the form of interest and late payment charges. Hence, it is advisable to get rid of your debts first. Depending on the salary increment, you should rethink your spending and investment pattern. For instance, if your increment is sub 5%, it means your raise has not beaten inflation. As prices increase every year, making it expensive for you to buy the same product that you bought last year, you will not have enough to saving or invest if your salary raise has just kept pace with inflation. Financial planners suggest that in case of a zero raise or sub 5% raise, you may have to cut down on your expenses. Any raise that you get exceeding inflation indicates that you should be able to save. You can use the money to bump up your investment kitty. While it is good to invest, save and pay off you loans, don’t forget to treat yourself. That doesn’t mean you should splurge. Keep a budget on how much you want to spend and for what purpose. One way to do it is to spend the first two months’ increment amount on shopping, travelling or anything you want. Then start investing diligently from the third month onwards. You would also want to improve your lifestyle and this could be the right time for it.